It's Our Comic-Con Preview Episode! Don't call us Dolls, we're Action Figures! It’s a Comic-Con preview episode! 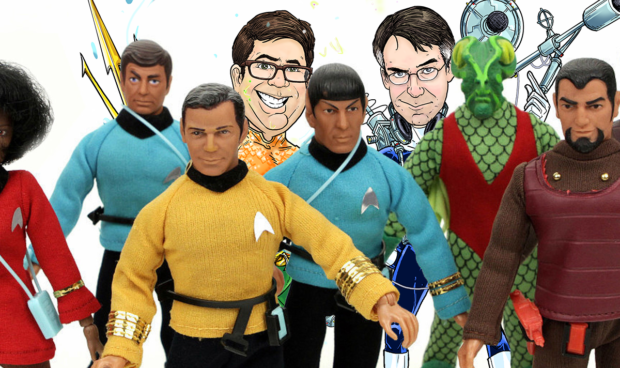 We interview Marty Abrams, the creator of MEGO action figures. He’ll be launching a new era of MEGO at Comic-Con! Plus an interview with the authors of I Was Flesh Gordon, then we run down the comics, movies and TV news of the week including The Lone Ranger, James Bond, KISS, Lost in Space, Black Widow, Captain Marvel, Spider-Man, Guardians of the Galaxy, and Doctor Who!